A study into the cost of servicing luxury watches has highlighted the expense of maintaining high quality timepieces for investors. With many UK based investors now widening their portfolios beyond traditional investments to include classic cars, art collections, jewelry and luxury timepieces, the study highlights how to avoid paying over the odds to keep precision watches working perfectly. Analysis published by Luxewatches.co.uk has revealed the cost of sending a luxury watch in for a full service by a manufacturer can be almost 200 per cent more expensive than getting a car overhauled in the UK. The average cost of maintenance work on a non-chronograph watch through official brand servicing channels is £432, while a chronograph watch works out as £508. The comprehensive investigation compared service costs on both watches and cars across multiple prices ranges. In comparison, it was found that the average of cost of a car check and service in the UK is £256, with £475 for work on the BMW 3 Series the most expensive of the eight manufacturers analysed. The £149 average for a service on a Vauxhall Astra was the cheapest. Average prices for watch repairs across the ten leading manufacturers ranged from £1,235 for a non chronograph Audemars Piguet Royal Oak Tourbillon Extra Thin, to £200 for a non-chronograph Cartier. Watch brands reviewed were Audemars Piguet, Breitling, Cartier, Jaeger-LeCoultre, Omega, Panerai, Patek Philippe, Richard Mile, Tag Heuer. Car models looked at were the Audi A3, BMW 3 Series, Ford Fiesta, Honda Civic, Mercedes Benz C-Class, Nissan Qashqai. Vauxhall Astra and Volkswagen Golf. The research did not take into account the super-high rate for services on a Richard Mille timepiece, which comes to £6,402.5 for maintenance work on the RM 044 and RM 008. Jake Martin from Luxewatches.co.uk, stated, “Luxury watch owners seek to service their watch with the brand they own, often because they feel reassured. 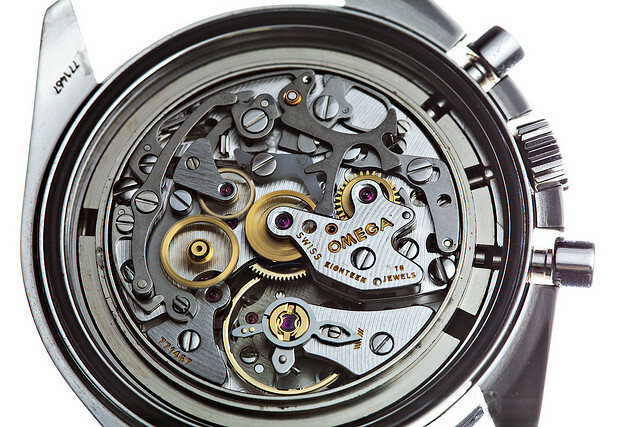 What these customers don’t know, however, is that official brands often charge way over the odds, and usually take months to service or repair a watch. Luxe charge £190 for a non-chronograph and £360 for a chronograph full service and they also aim to have your timepiece ready in between 1-2 weeks, as opposed to 8 weeks.